Bank robbery is an extremely serious criminal charge, and a conviction can mean harsh penalties including years in federal prison. Bank robbery allegations can often include the intent to harm others, using or possessing firearms, or inflicting actual harm on others. Because of the threatening or violent nature of many bank robberies, as well as the potential for high-value theft, the penalties of a conviction can be severe. Bank robbery can be charged in state court, however, it will be a federal charge under many circumstances. Banks that are insured by the FDIC are considered to be federal institutions, and many banks conduct business across state lines. 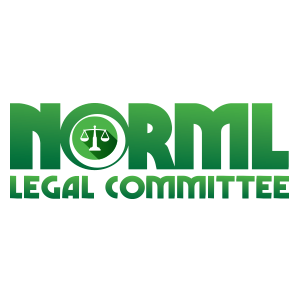 This can result in federal jurisdiction and defendants facing charges in federal criminal court. The federal criminal system can be very different than the state criminal system. The charges are often more serious and the potential penalties steeper. It can also be more difficult to negotiate with prosecutors or get cases dismissed. Anyone facing federal bank robbery charges needs a highly skilled federal criminal defense lawyer on their side as soon as possible. 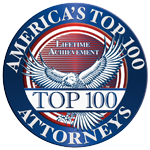 Do not wait to call Wimmer Criminal Defense Law today. The possible penalties for any of the above allegations include fines and up to 20 years in prison. The law also criminalizes unlawfully taking anything from a bank and carrying it away with the intent to steal it. If the value of the money or property is less than $1,000, the penalties for this offense can include fines and up to ten years in federal prison. If the value of the money or property is less than $1,000, the penalties can include fines and up to one year in federal prison. These charges and penalties may apply even if you did not engage in any threatening or harmful behavior. Since many bank robberies involve the possession of weapons, many defendants facing these charges may be sentenced to up to 45 years in prison upon a conviction, even if they did not actually harm anyone. Furthermore, if three people enter a bank intending to rob it and one person injures or kills someone, all three people may face charges for the assault or killing. It is an understatement to say that bank robbery cases are serious and we cannot overstate the necessity of an experienced federal criminal defense lawyer. Bank robberies are rarely committed by a single person on their own. People know that robbing a bank can be a complicated enterprise, so they usually enlist the help of others – whether it is to accompany them into the bank to watch people or to drive a getaway car. In many cases, certain people are charged with accomplice liability for a bank robbery. If you knowingly acted with the intent to aid or assist with the bank robbery, federal law allows you to be charged as a principal in the bank robbery even if you were only an accomplice. You can also be charged with any additional crimes that occurred as a result of the planned offense. For example, imagine you agreed to help with a bank robbery as a getaway driver. You waited in the car while two other went inside, and during the robbery, one of the principal actors killed someone without planning to do so. You can face criminal charges and penalties for the bank robbery and the killing even though you stayed in the car. Because so much is at stake in bank robbery cases, you need a lawyer who can identify all possible defenses that may apply in your case. 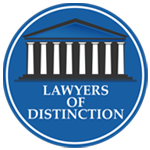 Defenses can include mistaken identity, insufficient evidence, and more. The right attorney can also negotiate with the prosecutor to find ways to minimize the charges and penalties you may face. If you’re accused of robbing a bank or acting as an accomplice, you should contact Wimmer Criminal Defense Law in Philadelphia right away. 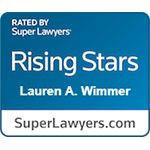 Federal criminal defense attorney Lauren Wimmer can evaluate the circumstances of your case and determine the best defense strategy. 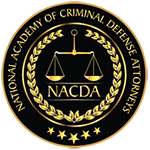 The federal criminal justice system is complicated and intimidating, so you need a lawyer who knows how to handle these serious cases. 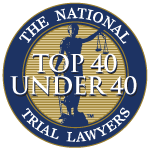 Call 215-712-1212 or contact us online for a free consultation.